Here is where researching Breckenridge real estate is made easy, with our sidebar navigation that offers up a comprehensive list of communities, condos, townhomes, prestigious estates and more. Discover the different subdivisions, neighborhoods, and complexes that provide modern luxury, and convenient resort-style living every day of the year. 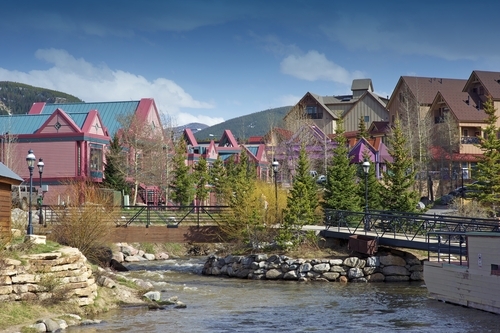 Find your perfect fit; whether it be ski in ski out condos or homes on the golf course or in downtown Breckenridge. We hope that our website's Breckendridge community information will help you to choose between the many wonderful areas; each has a lot to offer the home buyer. We'd love to help you find the ideal Breckenridge & Summit County community for your lifestyle and your individual needs as a buyer. Please don't hesitate to email Andrew for more information, or call (970) 547-7751 for assistance.